Gut Check is the game of truth or care about the quality and cost of health care and the need for transparency for patients to make the best decisions. You’re a patient about to undergo an important medical procedure – increase your odds of getting the best care possible by persuading your opponents to show their hands and reveal the true quality of their services. But there’s a catch! When your opponents are seeking care, you take on the role of a hospital and try to beat the competing hospitals to the punch by sharing the quality of your best procedures and by setting the cheapest prices. Show your mettle as both a patient and a hospital if you want to thrive in this fast-paced party game! Research: secretly peek at the quality value of any provider’s face-down department cards. Publish: reveal the quality of one of her own face-down department cards value to everyone! Improve: replace one of her current department cards with a new one from the supply. Finally, the providers simultaneously set their prices. The patient wants to visit the provider who gives the highest quality care at the best price. Once every patient has had 4 of her conditions dealt with, the player who got the best quality care as a patient and who made the most money as a provider wins! 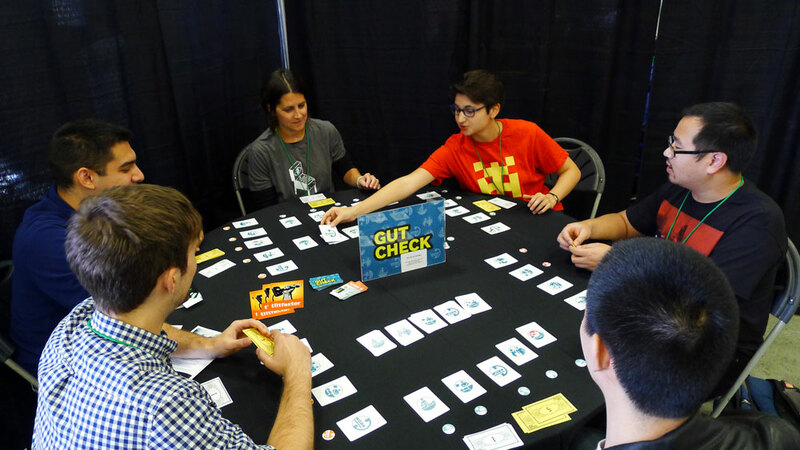 Gut Check is designed to encourage players to use all of the information available to them when seeking health care. The game aims to illustrate how publicly accessible health pricing and quality data lead to higher quality outcomes at reduced prices. Gut Check supports Aligning Forces for Quality, the Robert Wood Johnson Foundation’s signature effort to lift the overall quality and value of health care in targeted communities, reduce racial and ethnic disparities, and provide models for national reform. 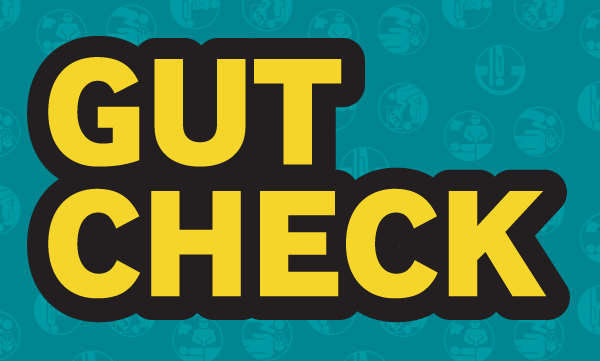 Gut Check was designed and produced in collaboration with Digital Mill, and made possible with support from the Robert Wood Johnson Foundation (RWJF). Warning: In compliance with the Consumer Product Safety Improvement Act of 2008 (CPSIA) we are notifying you that some of the products we sell may contain small parts or parts that may break off potentially causing a choking hazard to small children. Please supervise small children to ensure their safety. Any opinions, findings, and conclusions or recommendations expressed in this material are those of the authors and do not necessarily reflect the views of the Robert Wood Johnson Foundation.